We are a top-notch organization, engaged in providing Personalised Silver Coins. We are amongst the most reputed names in the industry, offering Personalised Silver Coins. 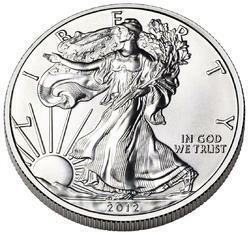 We are offering Purity Silver Coin to our clients. High Finish Customised Silver Coin 20 Grams purity 999. Our clients can avail an exclusive gamut of silver coins.that have Lord Maa Laxmi engraved on it. Designed using silver of 999 purity, these coins are offered in various weight ranging from 10 to 1000 gm. Ideal for gifting on various occasions like festivals, marriage and other ceremonies, these coins can be availed at market leading prices. Manu Bhai Bhagwandas Jewelers Pvt. Ltd.